Tricked Out Car Club - Team Scion is a large group of Scion owners across America (and the largest in Bay County, Florida). Simply put...we love all things Scion! If you have a Scion or just enjoy learning about these unique rides, TOCC is a great place to learn more about them. Team Scion is exclusive to the Scion brand! We get together often to explore our Scions further and discuss new ways to customize and detail them. We also hold photo shoots and attend mod day meets to share our expertise and keep the rides looking sharp. As a group, there is nothing we can't do! Along with modifications and the installation of aftermarket parts, we have discovered a lot about the general ownership of a Scion ride and how best to preserve the look and feel of your new Scion. Please don't hesitate to contact us for more information! If you are looking to buy or lease a Scion and live in the Southeast united States area, we recommend contacting Panama City Scion and asking for James Rees, the Scion Manager. He is one of the friendliest guys in the auto business and loves talking about Scions! Have you had the chance to check out the 2008 Scion xb 5.0 Release Series? And don't for about the 2010 Scion tC that is sure to please! 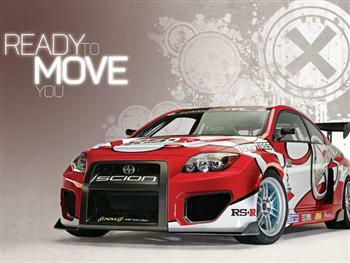 We have rolled up on some cool forums and sites related to the Scion brand, and would like to share them with you. Friendly people, quality content and easy-to-navigate forums! These are not clubs; they are information sites. If you are looking for clubs, please visit our page dedicated to car clubs and if you want awesome parts and accessories, check out our web directory. We will add more to this line-up very soon, so stop back by. Club xb - Scion xB Owners Club!